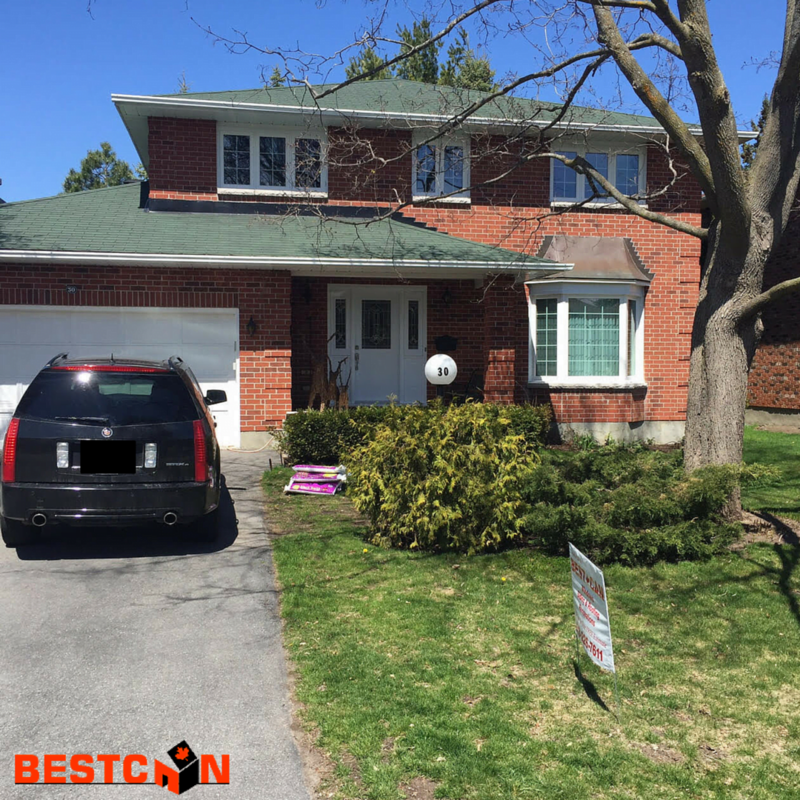 The Vodrey Family from Stittsville, Ontario recently contacted the team at BestCan for their no-obligation consultation and quote. They were looking to update some outdated windows and were seeking energy-efficient replacements. In addition to a need for new for new windows, the family wanted to update their entry door and rear patio door, again to take advantage of new safety, security and energy improvement features. Finally, their chimney was in need of updates. The team at BestCan was delighted to help bring the Vodrey Family projects to life and we are thrilled to share the outcome of this project. The timeless look of the white doors and window trim help accent the red brick and showcase the patina on their copper bay window topper.